One broker says "I've had past sellers contracting me and saying, 'We want to invest in LIC.' It's great." Amazon has just sparked a real estate frenzy to rival Cyber Monday. 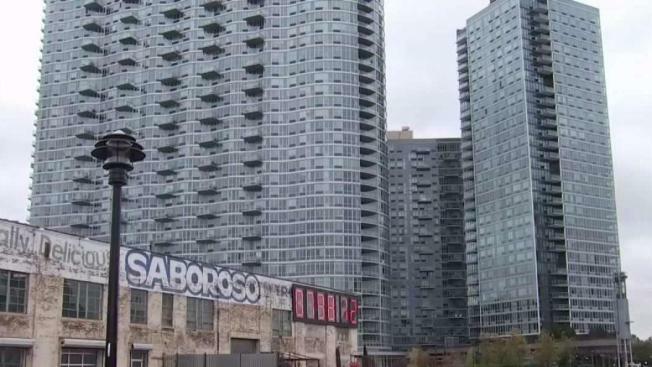 A three-bedroom condo with Manhattan views that had sat on the market for months, priced at $1.7 million, is suddenly drawing would-be buyers now that Amazon has announced plans to build part of its new second headquarters in Long Island City. Online searches for homes in Long Island City - long an industrial area in Queens - soared 248 percent last week, the real estate brokerage Redfin said. Searches in the other winner of Amazon's sweepstakes, Crystal City, Virginia, jumped 84 percent. Real estate agents say they're hearing from investors who'd like to become landlords and from sellers who've decided to pull their homes off the market, sit back and wait for prices to go up, up, up. The surge of interest has followed Amazon's selection of those two areas to each receive 25,000 new jobs paying an average of $150,000. The two localities already reflect the ultra-pricey New York and Washington metro areas, though real estate sales there had been relatively modest of late. Worries are arising, in fact, that housing prices in both places- whether for renters or buyers - are destined to price out all but the most affluent in the coming years. The same trend, critics note, has long been evident in such high-tech centers as San Francisco, San Jose, California, and Seattle, where Amazon is based. In those cities, low- and moderate-income families increasingly struggle to afford housing anywhere near their workplaces. By choosing the New York and Washington areas, Amazon has inadvertently thrown a spotlight on the gulf between a small group of thriving but high-cost U.S. cities and the rest of the country. Housing in Amazon's two new hubs are well more than twice the median home price nationwide of $255,000, according to ATTOM Data Solutions. In Queens, the median price has risen 7 percent to $630,000. Amazon executives were drawn to the sizable pools of well-educated and skilled workers in the two areas, which they chose over 18 other finalists with housing that has generally been less expensive. "Home affordability was not a prime deciding factor for Amazon," said Daren Blomquist, senior vice president of ATTOM. Oneika shows Lauren some of her favorite places of Long Island City including Gantry Plaza State Park, LIC Landing by Coffeed, and Tuk Tuk. In some ways, Amazon had injected adrenaline into a New York City market where price growth had exceeded wage gains to the point that sales had begun to slow. Until last weekend, real estate agents say, attendance at open houses for condos in Long Island City had been sparse. The $1.7 million condo at the Foundry building, with its private terrace and skyscraper views, was once the kind of showcase property that triggered competing bids within a few weeks. Buyers, though, had adopted a wait-and-see stance as mortgage rates rose, luxury construction flooded the market and interest from foreign buyers waned. Yet over the weekend, open house attendance in Long Island City suddenly tripled as word of Amazon's announcement became public, said Christopher Austad, a real estate broker with Douglas Elliman. "We just caught a huge breath of fresh air - it's like someone just resuscitated us," Austad said. "I've had a dozen new buyers and investors reach out this week. I've had past sellers contracting me and saying, 'Chris, we want to invest in LIC.' It's great." In the Seattle area, Amazon's presence, along with that of other tech giants like Microsoft, is thought to have contributed to home values that have priced out even relatively affluent families and have left poorer residents with few options. Homelessness has worsened. Over the past five years, the median home value in Seattle has rocketed 73 percent to $739,600, according to an analysis by the real estate firm Zillow, which is also based there. Partly in response, the city approved a series of increases to its minimum wage that will reach as high as $16 an hour next year. It approved a corporate tax this year to help the homeless, though the tax was repealed after being challenged by the business community, including Amazon. 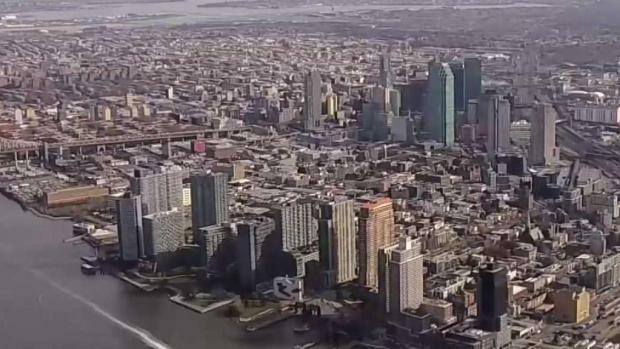 Amazon could be coming to Long Island City, bringing 25,000 jobs to that part of Queens. But could mass transit handle the influx? Local city officials say the infrastructure needs to be repaired before Amazon potentially moves in. Andrew Siff reports. Aaron Terrazas, a senior economist at Zillow, said he thinks metro New York and Washington will avoid the same predicament. "I don't think we should expect a similar jump," Terrazas said. "Both New York and D.C. have demonstrated a capacity to add supply in ways that Seattle was reluctant to." Both metro areas are already comfortable with building blocks of apartment and condo towers, he said. Their high-density construction makes it easier to accommodate the job growth than cities that prioritize single-family housing. They also contain extensive mass transit networks. In theory at least, the New York and Washington subway systems can ease housing price pressures by enabling workers to spread out. Still, the benefits of mass transit depend on New York and Washington maintaining and improving their systems - a severe challenge in recent years amid breakdowns, deteriorating tracks and rising expenses in both transportation systems. Yet the underlying message from Amazon's two selections is that big tech companies seem not to view housing costs as a barrier for hiring workers. Companies in Seattle and San Francisco have increasingly expressed concern that tech talent there would migrate to Salt Lake City, Boise or other cities where homes are more affordable. "There was anxiety in Silicon Valley that there are all these up-and-coming tech hubs that would challenge them," Terrazas said. "What the selection of D.C. and New York underlines is how the dominant players continue to be dominant."